First off, thanks for contacting us. May i suggest you to use the Custom URL option to redirect your clients to your web site after they have submitted your form? Please take a look at the steps below. 1. Click on ''Setup & Embed''. 2. Click on ''Thank You'' to open the Thank You Page Wizard. 3. Choose ''Custom URL'' then click on Next. 4. Copy and paste the URL of your web site where your form is currently embedded and click on Finish. When I do it, the form don't is showed again... the page is showed, but the form didn't. On your custom url, can you please change it to this url: http://www.esteticarmesim.com.br/#!marque-um-horrio/c970 This is the url of your webpage where your form embedded. Apologize for the inconvenience that may have caused. As I have checked this page, I found out that the form you have used is the same on this page, right? So, what I want you do since you want to redirect your form to the same page after the submission, you need to clone the form first then embed each form into your page. 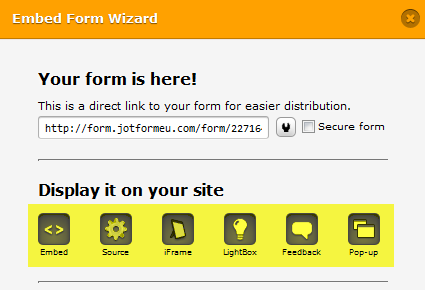 Form1 - embed into this page then set custom url where your form embedded. Sorry, but the problem still persists. The same problem happens with the page http://www.esteticarmesim.com.br/#!contato/cbdx: when the people sends the form, the initial page don't is shown. 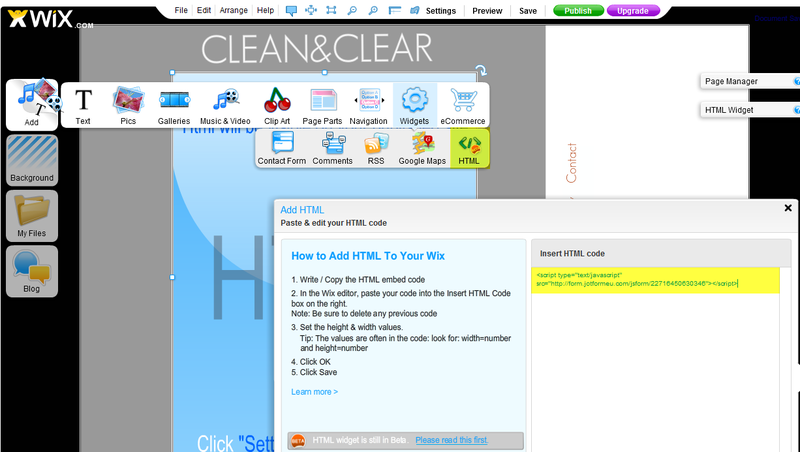 Have you used Wix HTML widget to embed your form? What embedding code have you put to the widget (e.g. embed, source, iFrame)?